Thanks for the opportunity Dean, but I don’t think so . If this is taken at face value: a USD$60,000 margin between what the property is selling for on Realtor.com (two listings at USD$25,000) versus Dean Letfus’s ‘hot off the press’ ‘Atlanta list’ @ USD $85,000 — it surely demolishes Dean Letfus’s supposed status as a ‘bargain property’ finder … that’s an amazing markup. Do you think that $60,000 margin would go towards the ‘oh-no-that’s-not-a sales-commission-they’re-just-proprietary-fees‘ we discussed earlier? I was struck by this tweet in my timeline tonight…. What a coincidence. Dean Letfus supplied his 'Atlanta list' as an Excel document. Oops, it’s an Excel document … Fiction? If there’s been a misunderstanding or misinterpretation of the details of this property, let me know please. Otherwise, 340% seems like a HUGE mark-up, don’t you think? If this claim is true and can be verified, it is simply unacceptable conduct. The responsible thing to do is to report the alleged spruiker to the Commerce Commission? Well, superficially it looks true. Perhaps an earlier listing at $85,000 failed to sell and the (desperate?) vendors decided to discount the asking price? That’s a possibility. But to discount it by $60,000? Wow, that seems a lot. As for “And if you want to know how to take 25 to 50K and build a retirement income from it in under ten years just holler…:” well, that seems a lot like the activities of a Financial Advisor … and they’re licensed/registered/approved in NZ now … hmmm. 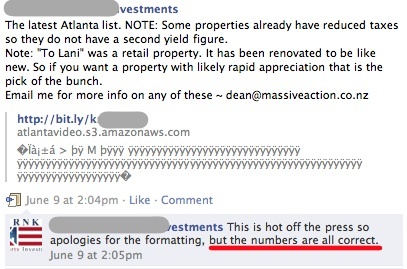 It just occurred to me that another possible reason for the discrepancy between the Realtor.com multi listing price of $25,000 and the $85,000 ‘Sales price’ of Dean Letfus’s “Atlanta List” is a simple typo. “How did Dean come up with a yield value of 10.01% ?? So all the calculations were based on a sale price of $85,000 – not $25,000. Instead of a net yield of 10%, he would have calculated a net yield of over 30% if he had intended to list the property at $25,000. That does not look good. It annoys me when a Trader because thats indirectly what he is here. Selling it as a Fantastic Deal. And he knows its not. If he discloses his position then fine. Also a Brick bat for you Peter. 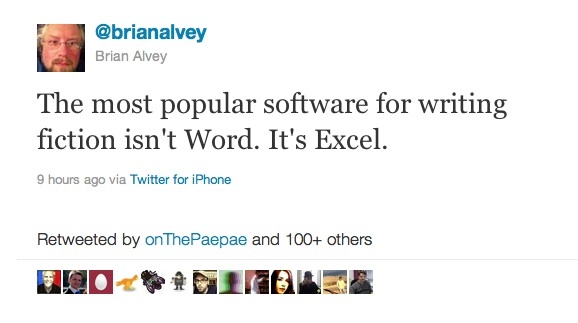 You reference a Random Twitter claiming Excel is Fiction over Word. So Dean using excel suggests its Fiction. Peter Tut tut. Hi Craig. Thanks for sharing your view. Sorry I Don’t follow, I am missing something now. Juxtaposition = someone who is attempting to defend/argue a point by using 2 completely irrelevant details. Also known as a logical Fallacy or a Non-Sequitur. There may be a little more subtlety in Peter’s comments than you have appreciated? If in the interests of balance Peter is desperately trying to find some innocent explanation for the pricing, and the best and only defence Peter can think of to try to defend Mr Letfus is a complete and utter absurdity, what does it all mean? In composition, the placing of verbal elements side by side, leaving it up to the reader to establish connections and impose a meaning. These verbal elements (words, clauses, sentences) may be drawn from different sources and juxtaposed to form a literary collage. @Poormastery, re looking for ‘balance’ …. yeah, well, it’s such a striking difference as I noted. Discrepancy?? I don’t know what you mean. A property bought for say 25K may have 5, 10 or even 20K of back taxes and liens to pay off and then anywhere between 8 and 30K on renovations. …. Only people with zero clue about the US market would take a foreclosure price and relate that to a completed turnkey investment. I don’t know the particular property you mean as I don’t sell them I simply introduce people to the companies I like but the answer is always the same. Foreclosure/short sale price + back taxes + federal liens + any number of other attached notes + reno cost + closing costs + profit = final sales price. Dean Letfus also seemed adamant that he doesn’t “sell properties to anybody” … I told him I think such a statement is sophistry*, and that he’s clearly marketing property for reward. There was no law against recommending a market last time I checked :-). Is there any way you can get clearer on the numbers for that particular property? Can you demonstrate, for instance, the level of unpaid taxes/tax liens that apply? And any other major projected expenses? No it is not my company that bought it and it is none of my business. 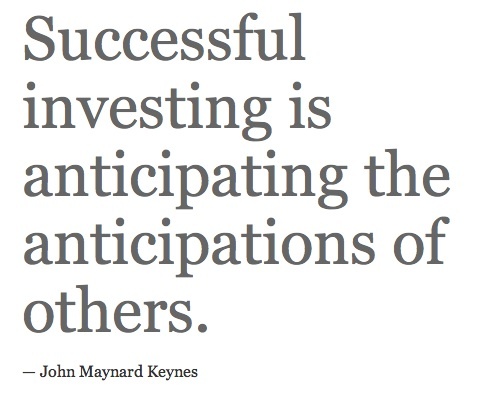 As long as finished product is 15 to 25% below current retail into the investors hands that is the required result. So, the question is still open. As already noted, I appreciate him engaging in the conversation as he did. His answers make a little sense. But only a little. Firstly, it is not a foreclosure sale. If it were a foreclosure sale then it would be sold on the courtroom steps. Dean even writes about this on his blog but seemingly he has a short memory. 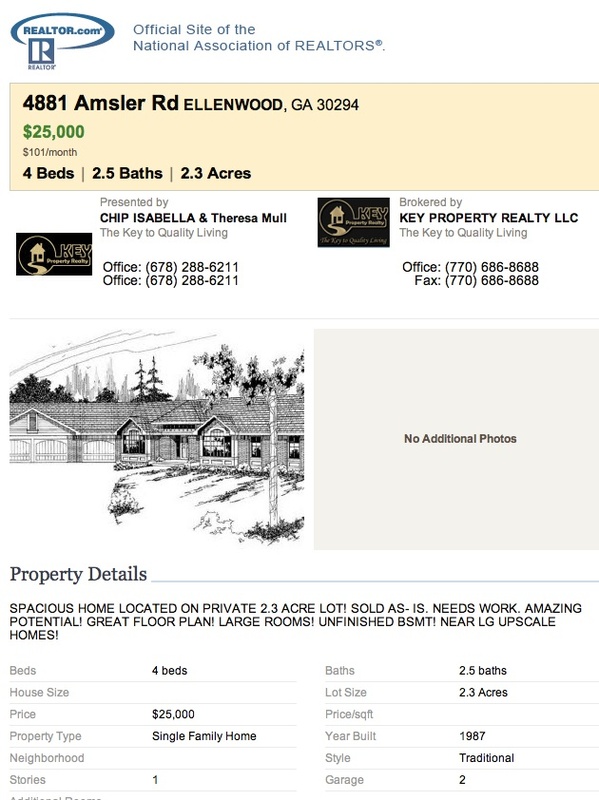 It could be a Short Sale by either the owner or its financier, but there is an issue with this as well, since the company Dean is working with must own it since Dean is offering it for sale on their behalf. He even says “No it is not my company that bought it and it is none of my business”, the clear implication being that someone has bought it but it isn’t him. As an aside, the last half of that quote should be very disturbing for anyone thinking of buying one of these places on the basis of Dean’s recommendation. 2. The company that Dean is dealing with is in serious financial trouble. Xav, thanks for your comments. From observation, there’s often an unfortunate aspect of Dean Letfus’s communication style which sees him apparently rely on implication and a read-between-the-lines style — rather than straight answers to straight questions. One could call it ‘Clinton-esque’ … hard to pin down … and the interchange can quickly slide to “As I already said…” or the conversation becomes about the conversation rather than the topic. So I wasn’t surprised his replies left us to typically fill in the gaps and speculate. Still, as I said, good on him for ‘engagjng’. Do you want me to go and find the sourced meaning to keep you happy? Well no I won’t, because I know what it means. I don’t need to prove that I can use Google and cut and paste. Oh he has a link wow this must be true. But the link is a opinion piece of from Wikipedia or about.com. It does not matter it must be true I red it therefore it is. By the way I know what Juxtaposition means and just because you link to it does not make you superior or correct even though it makes you feel better, infact it reeks of BS when people link to anything and everything. (there a blogging tip for you) Do you want me to link to Reek? Juxtaposition is a noble form of literary communication with a fine pedigree, and I like to use it, my dear chap. Peter you truly are a Prat. Quote Basically someone whos a major idiot, or is delusional and dumb. Acts against logic and thinks hes self-righteous. AKA: Major dumbass. End Quote. I like the self righteous part. So this will be the last post from me here. (maybe one more….) Now your thinking Oh I’m so hurt. That’s the reaction I would expect from you Peter. Fine. But by judging from reading for the last year or so. I would say there is maybe 4 or 5 people who comment consistently (i’m sure you will have some link or table to dispute this – irony there for ) so for one person too leave and drop your activity by about 20% you truly have a really made an impact as you like to call yourself as some sort of whistle blower. ha Was this a Personal gab well I guess it is. live and die by the sword. I know I know what you are thinking, what I am doing to make a difference huh? Answer not being a Prat. Thanks for the feedback. Yes, I agree it can be seen as unforgivably rude of me to challenge your slanted definition of juxtaposition in that way. I’m sorry to have apparently provoked you to ill-temper or exasperation. Mr Leftus and the other spruikers are evil geniuses. The idea that people would actually pay sometimes thousands of dollars to be pitched real estate deals is something that would never have even occured to me. Real estate agents charge you nothing for looking. Even dodgy timeshare salesmen didn’t charge you for the privilege of being harrassed and pitched “deals”. Now, it seems that the price of these sales sessions has come down to zero cost, but the infomercials will continue, because suckers will presumably attend and buy. Of course, Letfus went one better. He went to the PT boards, established himself as a so-called “guru”, and took a sizeable piece of PT’s client base back to his own paying forum! The owners of PT appeared to be suffering from Stockholm Syndrome at the time, so instead of chastising Leftus for his questionable conduct and use of their forum, they responded by censoring anyone who dared to criticise Leftus! You couldn’t make it up! Judging by the price and the number of people Leftus claimed to have got to his paying forum, he had succeeded in creating over $100k of passive revenue. Not only that, he now had a substantial mailing list to pitch his “deals” to. Various dodgy products rolled off the shelf. Some say that the victims deserve it, but I do not agree. Leftus et al develop very believable personas, with the Christianity pitch facilitating this. Allegedly marking up the sales price of a property from $25k to $85k is not exactly in line with Jesus’ principles, as I remember Christianity. It appears as if the banks have stopped Letfus buying, but who is going to stop him selling? The regulator needs to step up. Thanks for reminding me. Yes, I regard PropertyTalk’s complicity in effectively and even overtly ENDORSING Dean Letfus as breathtaking. Like you, I copped a fair bit of inconsistent ‘moderation’ and censorship at their hands — but, hey, their sand pit, their ‘rules’ (cough). That they now appear SO derisive and challenging of him in his latest sales/not sales endeavour indicates perhaps they’ve come to share your view of the reasons behind his ‘contribution’. Yep and that’s why we started PropertyTalk – for people to share their experiences and knowledge and I’d say we go a long way in keeping many businesses ‘honest’. We got stung by a property syndicate and that motivated us set up PropertyTalk to let others know to watch out for ‘property promoters’ and syndicates. It’s easy to fall into the trap of thinking every operator is dodgy if they are in Property Education. I can say that Property Tutors runs a clean ship – they have been in the game for long enough to know if they don’t stay on the right side they will get hammered. However offshore operators selling offshore property to Kiwis have no such concerns – they are not governed by NZ law and they can come in churn and burn and leave again and its these groups that we need to be wary of in my humble opinion. Kiwis are too trusting – in some ways it’s endearing in other ways it’s disappointing. We are a target for less scrupulous individuals and they include Kiwis. I was right about Phil Jones, I was right about Dean Letfus and Shaun Stenning, and I reckon I’m right about these two spruikers too. But watching PropertyTalk’s Marc and Donna sticking up for them and, indeed, acting as part of their promotional machine even today is sobering. The “15 million dollar* man” Sean Wood (*apparently this refers to his debt load) and Steve Goodey (Goody Yum Yum) appear to be the biggest advertisers on the PT site. I am sure this financial conflict of interest has nothing to do with the owners endorsement of these spruikers (cough). Of course, Mr Goodey didn’t post on PT for more than a year awhile back, because he was aggrieved by the humble poormastery’s questions! Whatever next? No wonder they threw me out of the forum! I put the endorsement and new ‘respect’ these wide boys apparently attract on PropertyTalk free and independent down to an unholy cocktail of ‘Frequency of interaction’, with a dash of Stockholm Syndrome and a sprinkle of ‘Don’t bite the hand that feeds you (especially in a recession)’. I understand that these two spruikers were part of the ‘bring PropertyTalk to its knees’ collective (United Federation of Property Spruikers). That spittle-flecked mob last year put the wind up the owners and managers of PT emasculating them with threats of legal threats, menacing declarations of ‘deep pockets’ and a determination to ‘clean up’ the discussion forum or crush it and its owners into the dust. They spun a line about there being a pot of cash to pay lawyers aimed at PT (which promoted Andrew King to take pledges from a bunch of us to set up a legal fighting fund). The result was a disheartening cave-in (no surprise) by PT — mass deletions (sorry, threads ‘removed for review’) and ‘certain posters’ gagged (put on the watch-list) with certain topics effectively BANNED. All this compromise just to create a safe and unquestioning environment for those apparently incapable of standing up for themselves and mounting an argument about their business practices in the actual discussion forum. It’s not hard to work out this thread was started to take the heat off the US properties thread I started. A nice wee diversion of attention – that is misguided and it’s a shame a lot of us are falling for it in my humble opinion. The big evil is the ‘property promoters’ coming here and seeing us as a soft touch – and some posters in this thread (who are anonymous) don’t seem too concerned with that though – umm why is that? Talk about blinded by their own blinkers. Oh dear. So questions about the Richmastery alumni Wood & Goodey’s activities are a ‘diversion of attention’ and ‘misguided’, according to Donna, while the ‘big evil’ is something else … anything else? I’m sure Patty Hearst would completely understand. Ouch. That is embarrassing. Free and independent? Really? I didn’t realise that PT.com had now turned of Letfus, and embraced Wood / Goodey. Thanks for the update on the machinations of the owners. The underdog supporter in me cannot help but feel some sense of sympathy towards Letfus, who doesn’t seem any worse than the other two aforementioned spruikers. To be honest, although I occasionally log on to PT.com to see what is going on, I invariably log off again after 60 seconds or so. I look at the thread topics, and it all seems like a monumental bore. I used to enjoy reading the views of Xris, David Hunter, Olly Newland et al, but now all the interesting posters with opinions seem to have gone gently into the good night. Most of the posters who have remained or joined seem to me to be a little vapid and vacuous. PT.com would, I think, be a good case study for MBA students on how not to run a business. For awhile, the owners had something, and then they threw it all away as they were overcome by the dark side of the force. It is a tale of missed opportunity after missed opportunity, caused by a fundamental lack of bottle. The irony of setting up PropertyTalk “for people to share their experiences and knowledge [to keep] businesses ‘honest’”, and then ending up promoting RM acolytes Wood / Goodey could be amusing were it not so sad. I have a bit of a schizophrenic attitude towards PropertyTalk myself. I like the people involved, and the idea, as promoted, is such a worthwhile vision. The mechanics are close to right … but the determination — the will — to hold fast to the ‘free and independent’ values of the masthead are sadly (not amusingly) lacking. It takes resolve to stand up to the bully boys, to maintain a true division between the commercial and the ‘editorial’ line (staying true to the declared purpose of the site). It sometimes feels like a superhuman task, and certainly, as you have said elsewhere, requires some financial ballast or heft to resist the toxic overtures and threats that free comment attracts. Infact [sic] the garbage that that likes of empower ( whom is soliciting by trying to put me down ) to line his buisness [sic] pockets, and others whom post lies and the like should be banned as he has in the past. The world would be a better place without this site and the fools on it. And yet, today, as you say, the “$15 million dollar man” is both PropertyTalk’s largest advertiser … and benefiting from repeated endorsements from the owner of the site. Free and independent is, it seems, a relative thing. I feel a certain sense of fraternity for PropertyTalk and an affinity with the stated goals. I continue to contribute a bit where I can, while I still can, but these things bother me. Actually, speaking of overdoses of financial hyperbole, do you remember Mr Fong’s now legendary “Boom of all Booms” thread. I believe that the legendary boom of all booms was predicted for the period 2010 – 2012. I suppose we are currently in the middle of it. I wonder how the “boom of all booms” is going for Mr Fong? He doesn’t appear to post to PT any more? I think at around the end of 2007 PT had a thread on what would happen to property prices in 2008. From memory, I predicted that they would fall a couple of percent in real terms. I was the only one who seemed to think real prices would fall. Everybody else seemed to be preaching about property prices doubling every seven years! Well, far be it from me to criticise a property market prophet whose predictions are taking a bit longer to eventuate than he first anticipated. One of fellow publisher Andrew Waite’s best jokes was a comment he made in 2006 when I mentioned in conversation that we were releasing an updated version of Olly Newland’s book The Day the Bubble Bursts … the bubble having not quite burst by then, although the first mentions of a ‘sub-prime crisis’ were starting to be whispered. … so I feel I should cut Ron Hoy Fong the same slack. We’ll see whether his (derivative) theory of a baby-boomer asset sell-down sparking another massive boom holds any water in the fullness of time. “Stopped clock” style predictions aren’t much use to anyone either. Yes, well said. Olly’s Bubble book was really saying: Hey, the party can’t run forever, these are some of the warning signs, these are some of the things you should start doing (and STOP doing) … and judging by previous cycles this could be the timing … or not. It was a warning bell. Some people who entered the market after 2000 seemed to have no idea it could ‘turn’ and, for instance, that lenders’ behaviour could be so changeable. Some benefitted from Olly’s warnings, others didn’t. I don’t really start until I get my proofs back from the printers. Then I can begin my serious writing.